The animated comedy The Simpsons has been a staple on Fox for decades now, and Family Guy, after being revived from cancellation, has joined it for many years now. Now it’s time for the worlds of these two cartoon juggernauts to collide. Come 2014, an episode titled “The Simpsons Guy” will air in which the Griffin family finds themselves in Springfield, where a stranger named Homer Simpson greets his new “albino” friends. The news comes on the heels of the announcement that another Fox animated hit, American Dad!, will be moving to TBS starting in 2014. 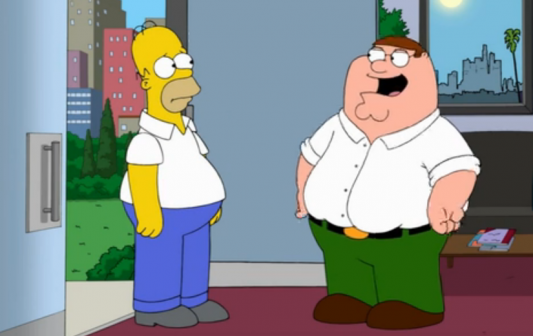 Will you watch a Family Guy and Simpsons crossover?